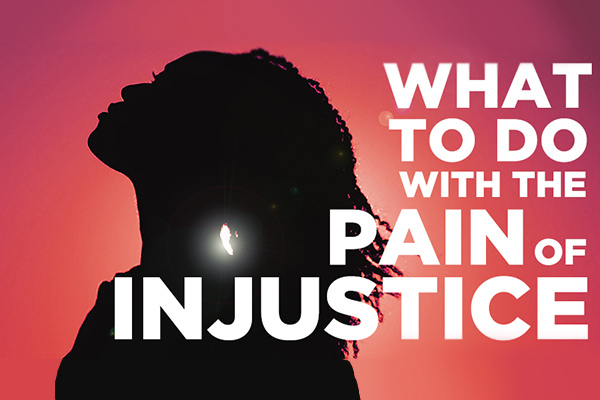 At some point in our lives, we have all felt the pain of injustice. Maybe this was on a small, personal scale—you were slighted by a friend or unfairly treated by a coworker. Or maybe you experienced it systemically—you were mistreated because of your looks, your gender, your race. Maybe you’ve faced both kinds of injustice, and its’ wounds still sting. What do we do with this pain once its been inflicted? Some of us will get angry, others will become despondent, and even more of us will feel a tumultuous storm of the two. However you feel and respond to the pain, one thing is clear: persistent anger and pain become poison. Show yourself compassion. Before you can heal the world, you must allow yourself to heal. Take the recovery time you need, no more and no less. Choose to let go. Letting go is not the same as forgetting or ignoring. Letting go means separating your emotions from the situation so that you can focus on a path forward. Learn what you can change and act on it. As an individual, it’s not possible to control every aspect of the world we live in. It’s okay to accept this, but always remember that you do have an impact. Change what you can, even if it seems insignificant. Your small contributions will add up, and a mighty throng of like-minded allies will stand with you. Never let injustice stand between you and your positive influence in the world. If you want to join other women who are living a bold and empowered life, attend the upcoming 2019 Radical Revolution Women’s Conference March 14th-16th to share experiences with and learn from powerful women speakers!